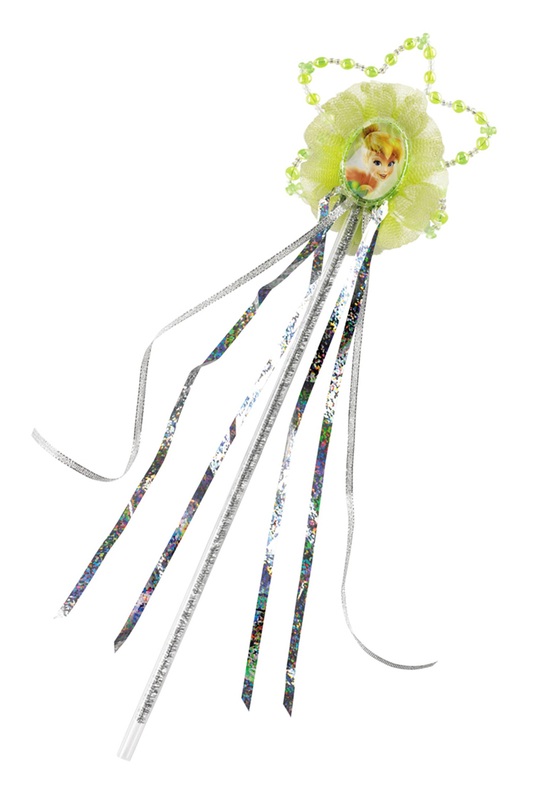 This Tinker Bell Fairy Wand will add the final, magical touch to your Tinker Bell costume. The wand has a silver handle with a character cameo at the top. The cameo is surrounded by green feathers, beads and silver ribbon. 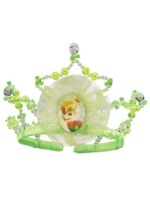 Add this cheap accessory to any of our fun Tinker Bell costumes and spread the magic Disney this Halloween season.